Join us as we begin a new water project to bring clean water, hygiene, and sanitation to more than 25,000 people in Mayuge, Uganda. More than half of the population in this eastern region of Uganda has no choice but to drink unsafe, dirty water that is making them sick. 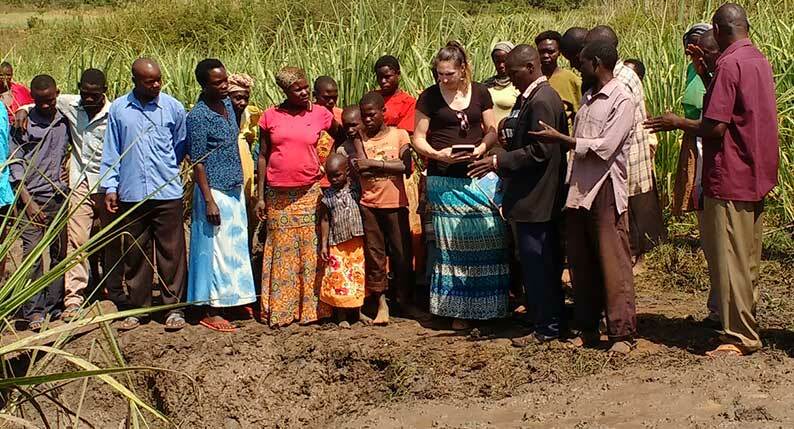 Lifewater WASH Program Officer Julie Waechter visited Mayuge recently and saw firsthand the need in the community. Fifty-three percent of people in Mayuge lack access to a clean water source, and have no choice but to use unsafe water that is making their children visibly sick. The sickness from waterborne diseases causes children to have distended bellies. Women are also vulnerable to suffering physical harm and ailments from the long journey for water, lack of sanitation, and hygiene. The problem also extends to schools where there is a 100:1 ratio of children to toilets available at schools. When bathrooms are overcrowded, children are increasingly at risk of attracting pathogens from a lack of proper hygiene and sanitation. The problem is particularly acute for girls. Three out of four girls in rural Africa will not finish primary school, and a major contributor is shame from not having a safe, private bathroom to use, particularly when they reach puberty. Lifewater opened a new field office in Mayuge in June of 2017 to begin collecting data from the community; the goal is to have a comprehensive water project serving 20 communities completed by 2019. To bring clean water to 25,000 people in Mayuge, we need to establish 50 safe water access points that are either new wells or repairs. There are currently on average 1,548 people utilizing one well or “borehole” in Mayuge. The government standard is 300 people to one borehole. An investment in Mayuge also means that six schools will have access to clean water and new bathrooms that will bring health, sanitation, and dignity to every child attending school. Despite the lack of clean water, sanitation, and hygiene practices in Mayuge, the people are strong and willing to do whatever it takes to bring health and hope to their region of Uganda.